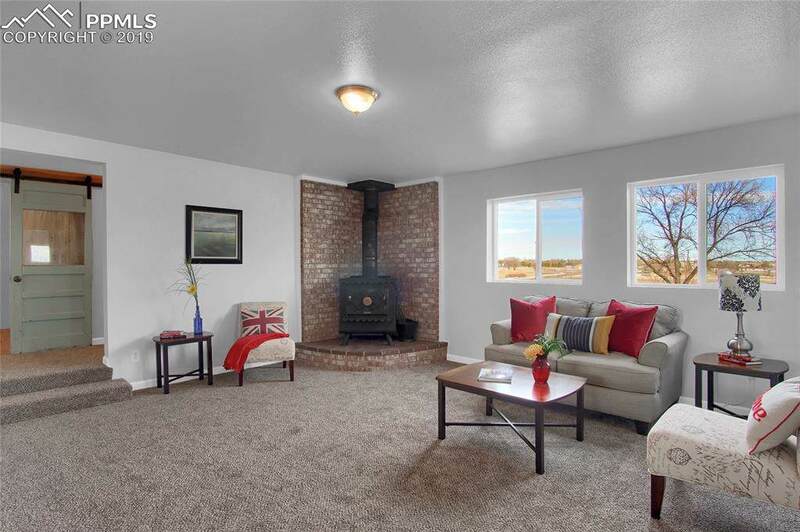 **SHOWS LIKE NEW** Charming stucco home featuring a welcoming living room off the entryway with new carpet and a wood-burning stove. 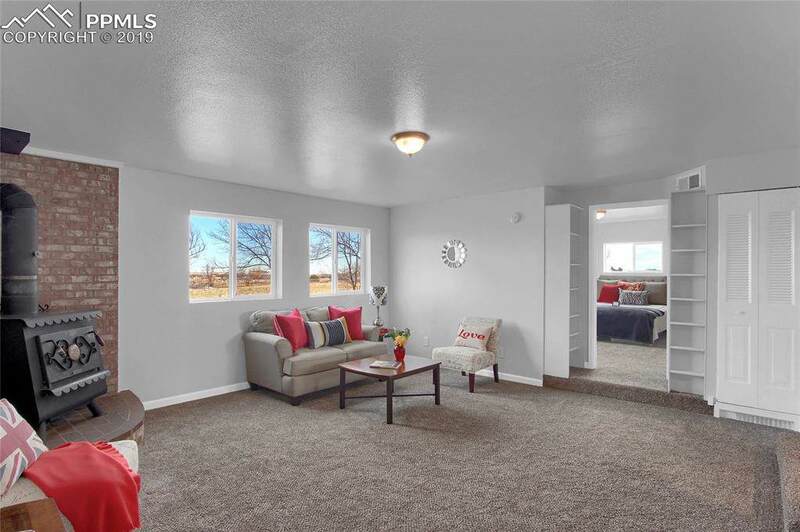 Adjoining the living room is a very spacious kitchen w/ granite counters, new cabinets, new stainless steel appliances, new flooring, and a serving counter bar! 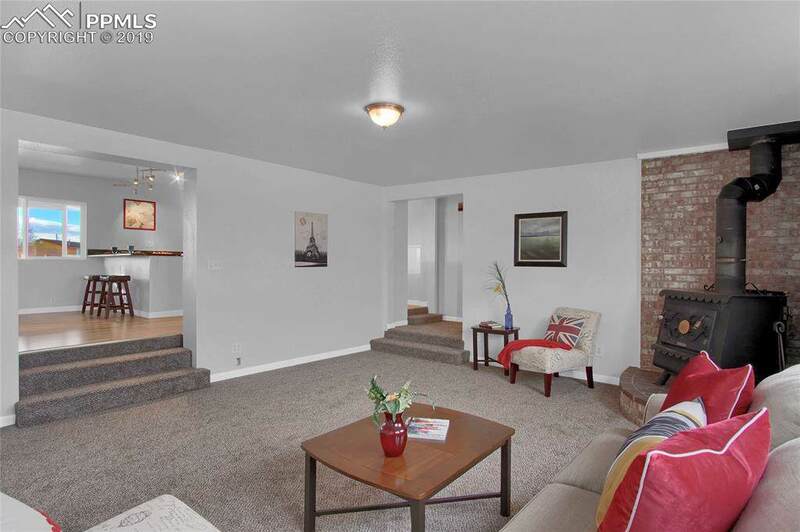 Open floor plan with 3 bedrooms: 2 of the bedrooms have attached bathrooms! Lots of storage, and ample space for outdoor living on the covered patio and plenty of space to build additional storage sheds for outdoor toys! This is a converted single-wide that now includes a stick built addition and a fully renovated exterior and interior. Plenty of space for multiple outbuildings! Ready for your personal touch! Just five minutes into town makes the property extraordinary. Easy access to Highway 24 for quick access to Schriver and Peterson! 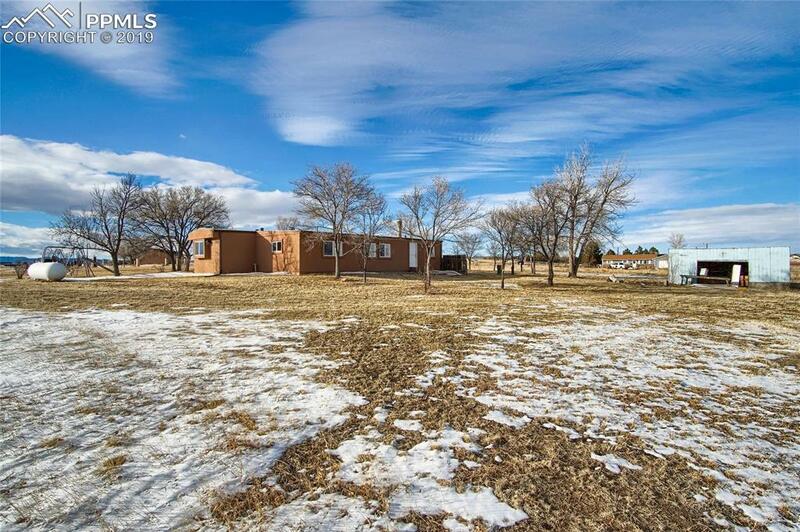 Unobstructed Peak and front range views! MUST SEE PROPERTY!!! !